The only two shows I watch are ‘Walking Dead’ and ‘Nashville,’ but both just went off the air for a couple of months, so I feel like I have to be productive because I’m not sitting around waiting for the next episode of zombies or mainstream country music. ‘Shotgun”s one of the first songs I ever wrote. It’s about a couple I met at Waffle House, an all night diner I used to hang at before I could go to bars. It wasn’t my dream to make music. It was just something I ended up doing, and no one said stop. If I could be more vague I’d write more about people in my life, but I hate hurting feelings or making people feel uncomfortable. I’ve done that before. Unless they’re sad songs. Those get finished fast, but the mean ones often end up at the back of the bottom drawer and it’s probably for the best. I went to community college for about a year but I’d started taking music seriously by then so I dropped out. I used to be fast and loose with the term ‘country’ because I didn’t know what else to call my music. I still don’t. I think I definitely learned how to structure songs, just from listening to a lot of 1960s, 1970s pop music, although I’m sure my mother’s watchful eye had a lot to do with it. I started making music for fun, but I had two parents who were very much in the business. I didn’t run around trying to get the spotlight. I was very shy. I never sang in front of people ’til I was about 17 years old. I like buying iTunes. It’s instant. I have this friend who has a theory that lots of towns have energies. And, for instance, certain places in Alabama have bad ones because they were built on reservations or built on cemeteries or something. But Nashville has a really gravitational, magnetic pull. I have a lot of vinyl, but I only buy old records on vinyl. Like secondhand. It’s too expensive otherwise. I had an indie pop phase, I had just about every phase you could think of. I get my gossip from ‘Nashville’ on ABC. ‘Gorilla Man’ is a composite of a few individuals, but the song itself was actually inspired by James Taylor. I spied his ‘Gorilla’ album laying on my floor and in some altered state, instantly started singing the chorus. It was fun to write. There’s an old notebook with at least three more verses in it somewhere. 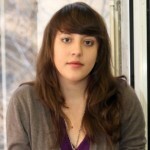 Caitlin Rose was born in Dallas, Texas. She is an American singer from Nashville, Tennessee. As a solo artist, she signed to BMI in 2008. The title track of her seven-track 2008 EP, Dead Flowers, is a cover of a Rolling Stones song. Her first album, Own Side Now, was released by Names Records in August 2010. Claire Suddath of Time magazine named Own Side Now one of the Top 10 Albums of 2011, ranking it at No. 7. Her studio album, The Stand-In, was released on February 25, 2013.